All of our clients from time-to-time become “stuck” at their computers when some mysterious message appears on the screen. Or they just cannot figure out how to get their computers to do an operation. And they need answers about these situations quickly so that they can move forward and remain productive. That is where Eck-Mundy assists. 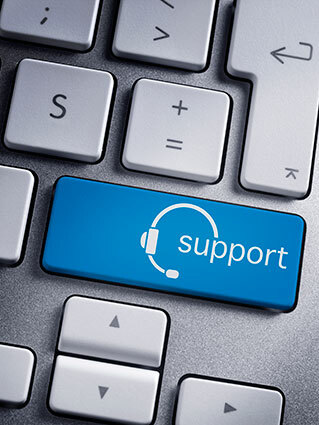 Since many of our customers are not large enough to have dedicated computer specialists on staff, we serve as their “Help Desk”. What does this mean to you? Eck-Mundy can help you with problems over the phone in a quick and economical manner. We even have technology that, with your assistance, allows us to remote control your computer to further diagnose an issue. This technology is installed on every computer coming from our shop! You get the help you need, without support calls to a foreign country, from a company that knows you and how important it is for you to be productive! Give us a call at 812-634-8001 or fill out the contact form to get the help you need.